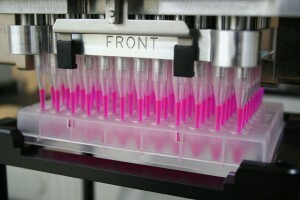 The performance of an antimicrobial additive can be affected by how the product is used. Durability and how long the product is intended to last are important considerations when choosing antimicrobial additives. Product testing with standard antimicrobial test methods is often only the first step. Even if shown to be effective against microbes, a product may or may not work when tested in simulated environments. Preservatives are generally matched to specific formulations but may not account for unexpected contaminants arriving from other sources or due to seasonal environmental changes. In highly competitive markets, knowing how the product performs whether after 1, 2 or 3 years on the shelf can go a long way in keeping your product on the shelf and in the hands of your customer. Changes in humidity, temperature, and other storage conditions may impact the stability of your formulation and should be examined prior to selling into various markets. Exposure to UV, heat and water are just some of variables that should be considered when selecting additives and performance tests. We recommend running performance tests to a range of conditions depending on the product and its intended use. Laboratory testing of how a product performs with an antimicrobial auxiliary may reduce the chance of unintended performance issues. It may also offer guidance on how the antimicrobial could be used to enhance specific performance attributes. Contact the lab at 847-483-9950 or info@situtest.com for more information on Shelf Life Testing.